There are many good reasons to pay for gasoline with a credit card. Using cash means going inside and prepaying before you pump, which is a hassle. Using a debit card can be risky. 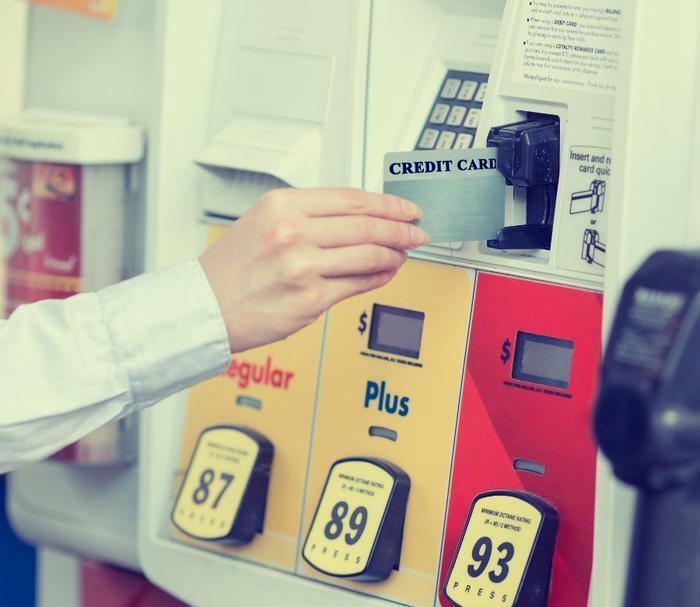 Scammers have been known to install credit card skimmers on gas pumps, stealing account information. With a credit card, your liability is less if that happens. But maybe the best reason to buy gas with a credit card is to reap the rewards some cards pay. You just have to know which cards pay and the extent of the reward. Just in time for summer road trip season, personal finance site WalletHub has analyzed credit card offerings and picked what it considers the best of the bunch. If you are looking to rack up points, no matter where you fill up, then the PenFed Platinum Rewards Visa Signature card is a good choice. If offers five points for every dollar spent, which works out to about 4.25% cash back. It also offers fewer points on other purchases. In the cash back category, it's hard to beat the Blue Cash card from American Express. It pays 5% cash back on all gasoline purchases, no matter where you buy it. You also get 5% cash back on charges at supermarkets and drug stores. The Cash Back Rewards Plus Card from American Express is affiliated with USAA and is for the military community. Consumers who qualify for USAA membership can enjoy 5% cash back on the first $3,000 they spend on gas and military-base purchases each year. Costco members already save money when they fill up at the store, but the Costco Anywhere Visa Card by Citi saves even more. You get 4% cash back on up to $7,000 in fuel purchases made each year. There's also a bonus of 3% cash back on restaurant and travel purchases, 2% cash back at Costco, and 1% on all other spending. Initial bonuses when you open an account can also pay off at the gas pump. The Citi Thank You Premier card gives you 30,000 bonus points if you charge $3,000 within the first three months. The card pays three points per dollar spent on travel, including gasoline purchases. Consumers with bad credit can also be rewarded at the gas pump if they have the Discover It Secured Card. You'll get 2% cash back on up to $1000 spent at restaurants and gas stations each quarter. It's a rare secured card that offers a cash back reward.